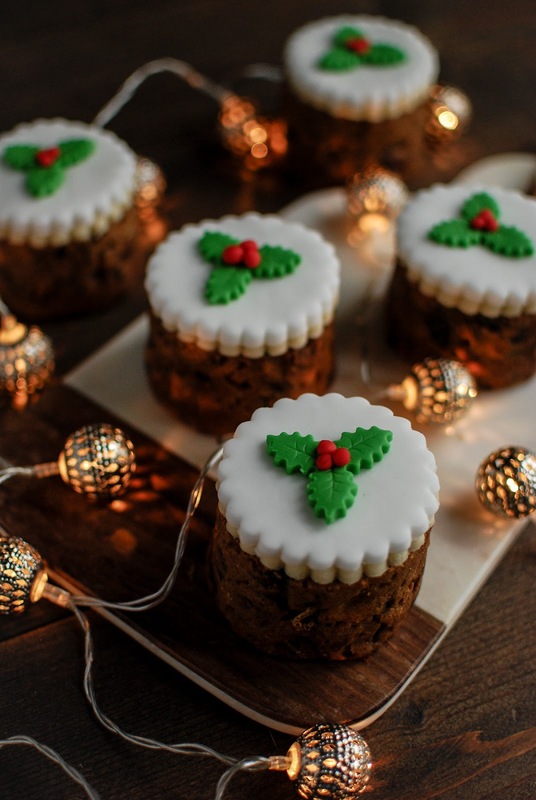 These Fig and Pistachio Baked Bean Tin Christmas Cakes are the perfect Christmas treat. 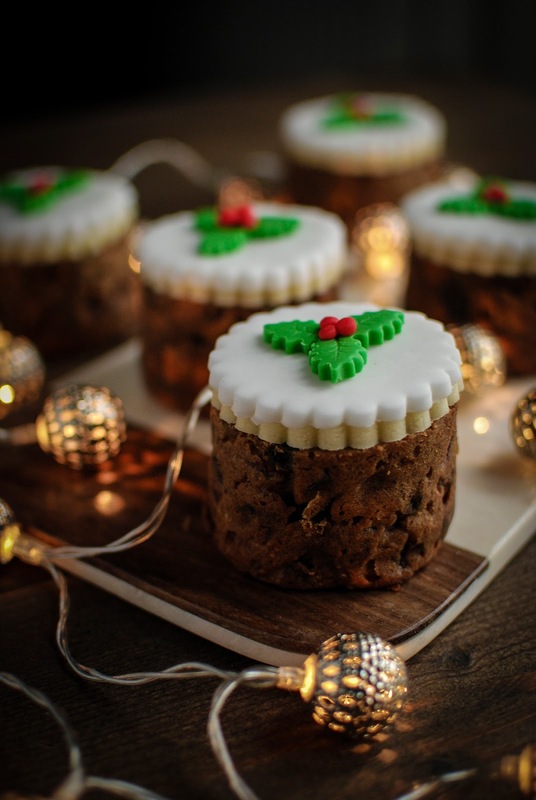 Christmas cake is a little bit like marmite, you either love it or you hate it. Personally, I absolutely love it. There’s nothing better than sitting down to a slab of Christmas cake and a hunk of crumbly cheese (don’t knock it till you’ve tried it! ), utter bliss. Unfortunately, in my family I’m a minority. There’s only two of us that partake in the fruity number, often meaning a full cake goes to waste. That’s where these adorable little buggers come into their own. Not only do you get a super cute Christmas cake to enjoy, sans waste, but you also get a handful to give away as gifts. Talk about your win win situation. When Waitrose contacted me, asking me to put a fun spin on a traditional Christmas cake recipe I just knew I had to bust out the baked bean tins. All you need to make these little cakes are eight mini bean tins, empty of course. Any Christmas cake recipe will work for this method but I’ve included my favourite below. There’s just something about the combination of fig and pistachio that just gets me salivating. 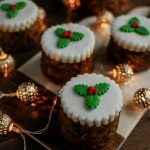 If you’d like to try out any more fun Christmas baking ideas why not check out Waitrose, Christmas puddings with a twist. The night before you bake your cake prepare the fruit. Place all of the dried fruits and cherries into a large bowl along with the orange zest, juice and rum. Give it a quick stir before covering with cling film and setting aside overnight. By the next day all the liquid should have been absorbed and the fruit nicely plump with booze. Preheat the oven to 150C and line your mini bean tins with baking parchment, make sure the paper comes a few inches above the rim of the tins. In the bowl of an electric mixer cream the butter and sugar together till light and fluffy. Add the eggs one at a time, mixing well between each addition then pour in the honey. Mix in the flour and spices followed by the soaked fruit and pistachio nuts until evenly distributed. Fill each tin to just below the rims and bake for 1hr 30mins until dark brown and firm to the touch. Allow to cool in the tins. 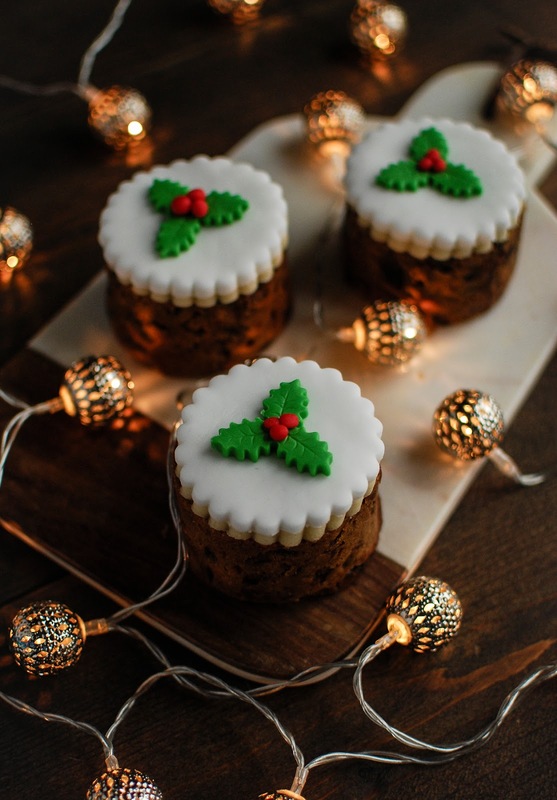 Once cool tip the little cakes out of their tins, drizzle a teaspoon of spiced rum over each cake before wrapping them in a layer of baking paper followed by a layer of tin foil. Keep in a dark place, feeding with half a teaspoon of rum per cake until ready to decorate. To decorate your cakes simply level with a bread knife and top with a thin layer of marzipan and fondant icing. Jazz them up with some cute Christmas decorations, wrap with cellophane and ribbons and spread the joy. It looks so delicious, but I'd love to make it for my kids this weekend, and maybe at the Christmas this year. Thanks for the recipe!